The conference brings together engineers and scientists from all over the world to discuss recent progress and future trends in the fabrication and application of micro and nano structures and devices. The conference proceedings are published in the journal “Microelectronic Engineering”. 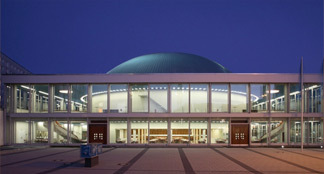 MNE 2011 in Berlin will be the 37th conference in a series that started in Cambridge in 1975 and was most recently held in Barcelona (2006), Copenhagen (2007), Athens (2008), Ghent (2009) and Genoa (2010). On average the MNE conference has attracted 600 - 700 participants. The conference opens with a Welcome Reception on Monday, 19 September at 7.00 p.m. The Technical Program starts on Tuesday, 20 September and closes at noon on Friday, 23 September. The Exhibition and the Poster Presentation starts with the welcome reception on Monday, 19 September and will be closed on Thursday, 22 September at 4.00 p.m. 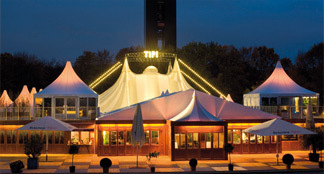 The Conference Dinner takes place at the “TIPI am Kanzleramt” on Wednesday, 21 September. We will start with a welcome reception at 6.30 p.m. The dinner will start at 7.00 p.m.
Shourt Courses will be organized on Monday, 19 September between 08.00 a.m. to 04.00 p.m. The program will feature plenary and invited presentations by a number of internationally recognized authors, contributed oral and poster presentations and a commercial exhibition. Oral presentations and posters as well as plenary and invited talks will be selected by the International Program Committee. Please note that MNE attributes the same weight to both Poster and Oral Presentations.